Team Illinois accelerated into the finals of the America’s Showcase, held at the Robert Morris University Island Sports Center in Pittsburgh, PA, this past weekend, defeating a great Wisconsin team on Monday (4-2) to bring home the Championship title. The showcase team was led by coaches, Jon Grzbek (Benet Academy), Dave Dyson (OPRF), Nick Iaciancio (Providence Catholic) and Mark Mullally (Naperville Central), who brought together a tremendously talented and unselfish Illinois squad who just a month earlier were fierce opponents. The players were not led by any one individual, but came together to “be the best team Illinois has ever had”, as one veteran observer put it. Jake Rott was named tournament MVP, and any number of Illinois players could have followed him to the podium. Click HERE for Team Illinois Roster. The pride and performance of every player was noted by the number of hockey scouts outside the locker room after each and every game. Each player and their parent should be extremely proud of the performance both on and off the ice of these young men. They beat strongly favored California, 8-1, then posted a 3-0 shutout win over New Jersey, dropped a 5-3 decision to Midwest, recovering to destroy a Texas team 13-1 in the quarters. Illinois drubbed New Jersey 6-0 in the semis, and ultimately defeated a very strong Wisconsin team 4-2 in the final to be the 2016 Champions of the America’s Showcase. 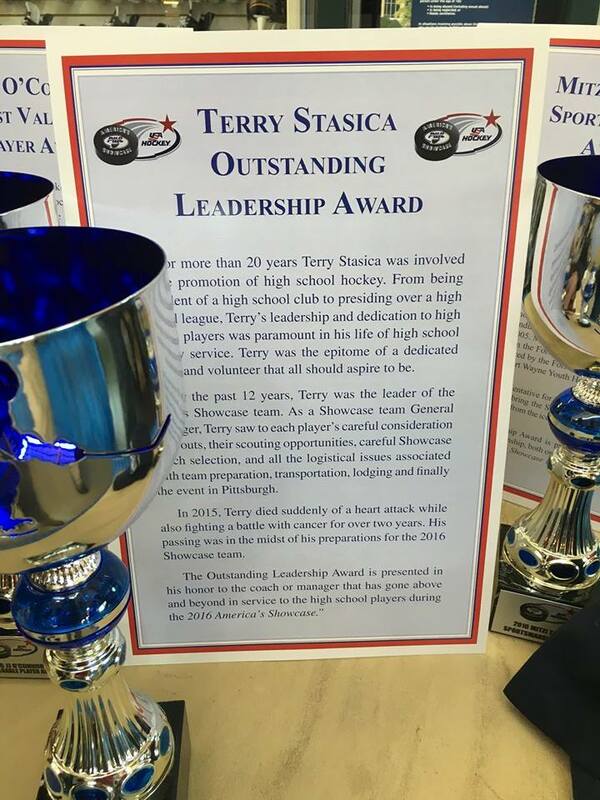 The Showcase also presented the first ever “Terry Stasica Award” for Leadership to Nancy Hughes, longtime activist in New Jersey high school hockey. A very deserving person for an award named for Terry (who passed away suddenly last November), the most dedicated volunteer for Illinois High School hockey players! What Terry had done for Illinois players cannot be matched. Our thanks to Terry and congratulations to Nancy. Again our thanks to the players and parents for their support and to the America’s Showcase event personnel. 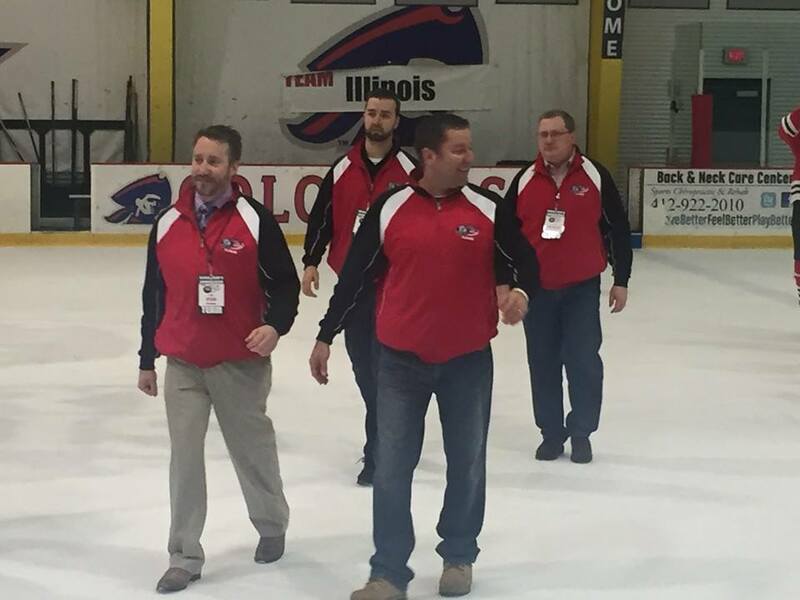 Win or lose, it was an outstanding event that the Showcase organizers and USA Hockey can be very proud of. Click HERE for a complete listing of games/scores. 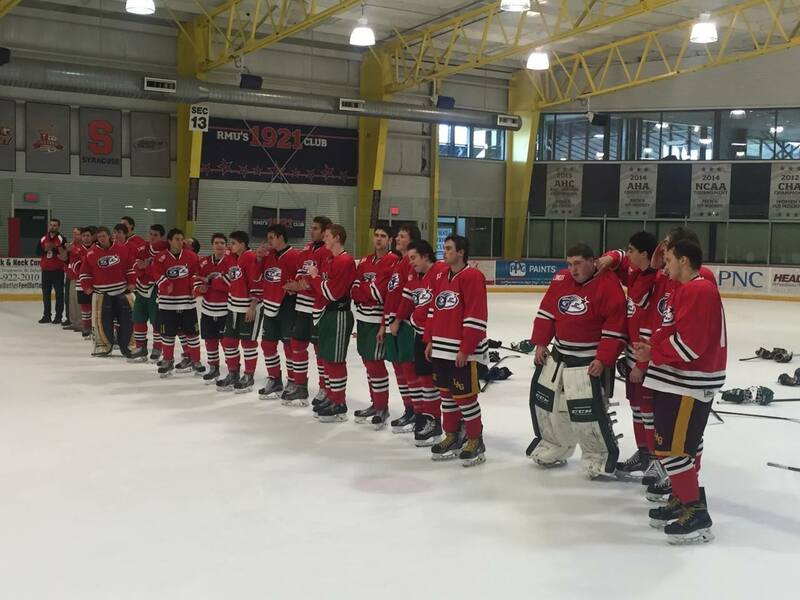 NOTES: America’s Showcase was developed to provide the nation’s premier high school players an opportunity to be scouted by high-level programs so those players may further their hockey careers in prep school, juniors, college, and beyond. The Showcase runs for five days, and is packed with over 50 competitive hockey games giving the scouts on-hand (and watching online) plenty of opportunities to recruit from the wealth of talent on the ice. The success of this event is ultimately measured by how many of those players are able to use America’s Showcase as a springboard to a successful future in the upper echelon of hockey programs in North America.